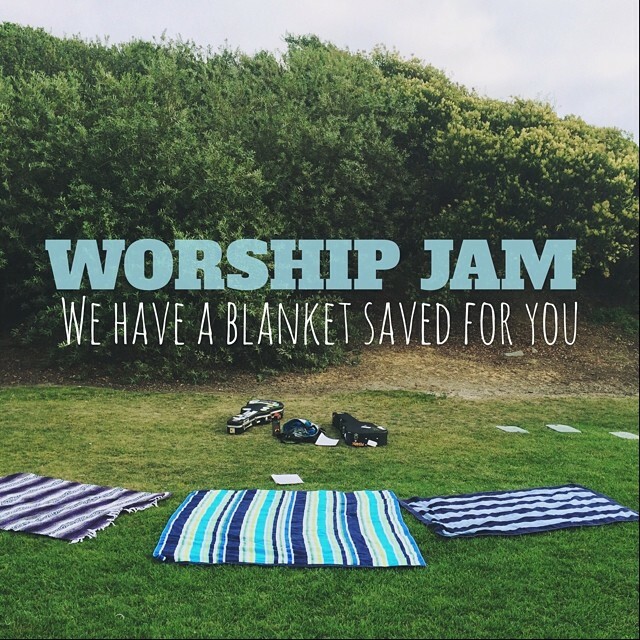 Pull that dusty old guitar out from under your bed because Worship Jam is happening again. We’ll have a beach blanket saved for you this Wednesday at Moonlight Beach from 6:30-8:00pm. It’s a welcoming place for nervous beginners, lapsed shredders, passionate singers, and salty pros to grow musically while singing Christian praise songs about Jesus. Feel free to invite your friends that might have an interest in guitar, drums, singing, smiling, or Jesus.